2012 The Year That It All Ends?? The Invisible Ink Man and Me: Is Ackerman Back Again? ... and much, much more on 147 pages! 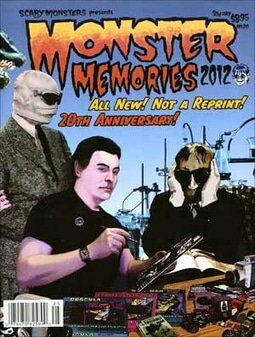 See our MyMovieMonsters.com ad on page 125! All other ads, contact information and websites related to Scary Monsters Magazine and merchandise are no longer in effect. Please direct all inquiries to scarymonsters@mymoviemonsters.com.